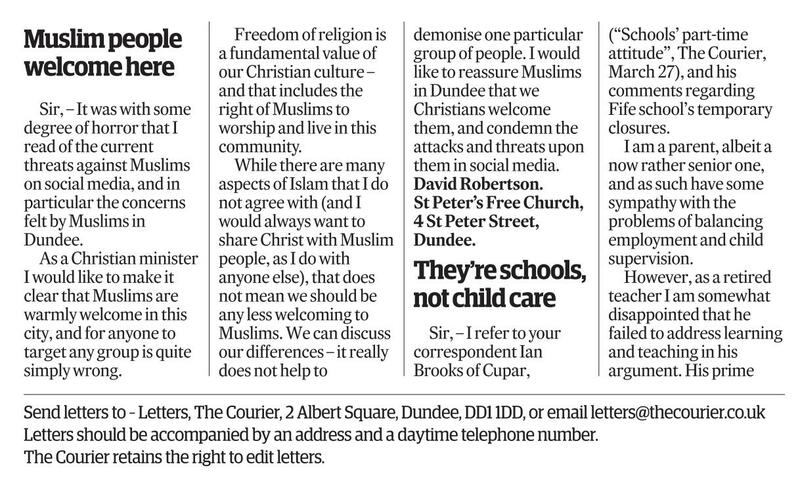 This letter was published in The Courier yesterday – in response to the wicked and ridiculous ‘punish a Muslim’ campaign. David, you don’t need someone you don’t know, commenting from out of the blue, to tell you that you were absolutely right to send that letter. 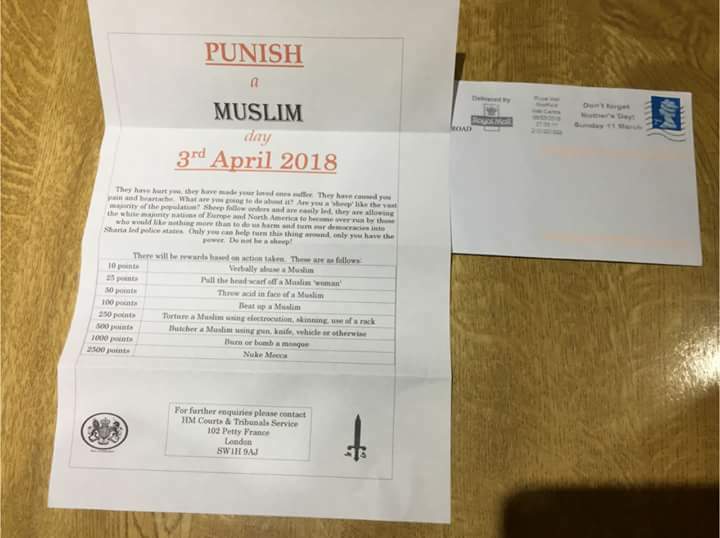 Notwithstanding that the indications are, the ‘Punish a Muslim Campaign’ was a particularly ham-fisted and transparent false-flag op, perpetrated by the very opposite of those it appears to come from. We live in an age of considered and wholesale lying now. It therefore also needs to be said that, whoever did originate those letters, committed a wicked act of falsification in the knowledge that what they were doing would simply create needless fear and chaos.